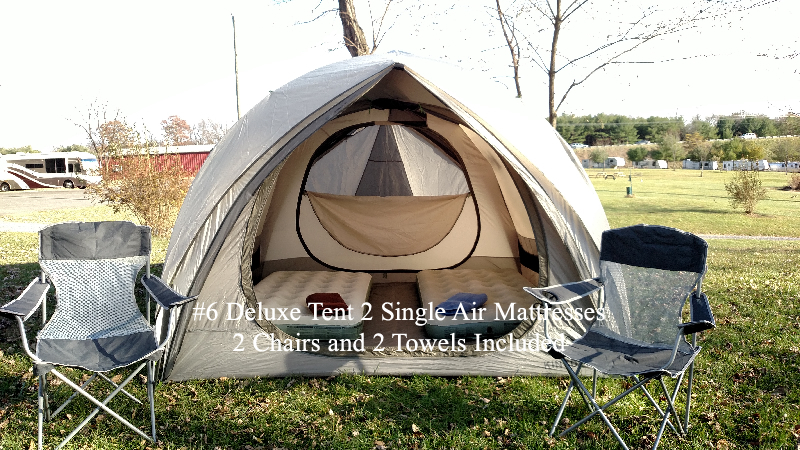 What's the difference between a Standard and a Deluxe tent? -Our Standard tents are 7’6” x 8' 6” with a center height of about 4'6” and can sleep up to 2 people on either a double mattress or 2 singles. Please note: There is more room in the tent for luggage when a double mattress is used. -Our Deluxe tents are tall enough to stand in (for most people) with a center height of 6’3. The floor plan is 8’6” x 8’6” and can sleep 2 people on a queen mattress or 2 single mattresses. Is the chair and towel service provided when I rent a tent? What does the Morning Coffee/Tea Service consist of and is it included in the Tent Package Rental? -This is a self-serve station right in camp with coffee, tea and cocoa. The service includes a nice travel mug with unlimited refills. We generally start a little earlier then the tours breakfast time so it’s designed for those people who want coffee when they first get up. This is one of our “A La Carte” services and is purchased separately from the tent package. Please Note: Coffee Service not available on all tours. If it’s provided for a tour it will be listed on the drop down menu for that tour. Can I put my bike in my tent? -Sorry, but we do not permit bikes in the tents or under the vestibule. -Yes, we provide the air mattress; you will need to bring a sleeping bag and pillow. How do I find my tent? -On the first day when you check-in with us, you'll be given your tent number and this will be your tent all tour. The tents will have a tag with the tent # and your name on it. The tents are set-up in numerical order, so when you ride into camp each day you can easily locate your tent. What happens with my luggage? - Your bags are transported on the luggage trucks provided by the tour. You are responsible for moving your luggage to the truck (they are usually in close proximity to camping area). Our equipment handcarts are usually available for use to get your luggage to and from the trucks each day. What do I need to do in the morning? -Just simply take your personal belongings to the luggage truck, and let us break down your camp! Your tent with air mattress, chair and clean towel will be waiting for you at our next over night location. 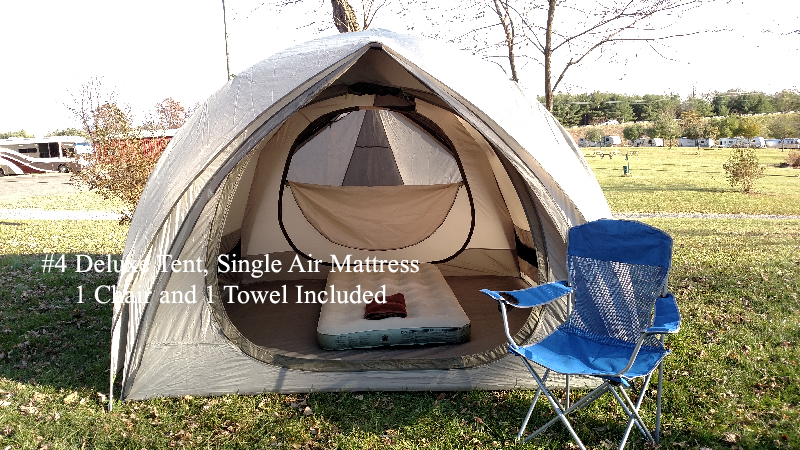 Is someone available if I have a problem with my tent or air mattress at night? -Our staff stays overnight on location to help meet your needs. Can I request to have my tent next to someone else using your service? -Absolutely, we have a “special request” box on our registration form to fill in the name of the person you would like to be next to. If you have already registered, just send us an email and we will arrange it for you. I am using my own tent, but I registered for the chair, towel and mattress service, where do I pick them up? -When you arrive in camp each day, stop by the Comfy Campers’ Canopy and pickup your clean towel, chair and inflated mattress. In the morning just drop them off where you picked them up and we'll have them for you at the next location. -If you need to cancel, please send an email to comfycampers@rocketmail.com. We respond to all emails, so if you sent a cancellation via email and did not receive a confirmation, we did NOT receive your cancellation. Please review our Refund/Cancelation Policy for information on refunds. Michigan's Upper Peninsula, there's no place quite like it! See majestic waterfalls, dip your toes in three of America's Great Lakes, and enjoy off-the grid delights as you pedal through old-growth forests. You'll be mesmerized by the UP's rugged natural beauty and unique wildlife. Camp at the foot of the International Bridge to Canada and watch massive freighters pass through the world-famous Soo Locks. And go back in time as you experience the charms of Mackinaw Island during our weeklong bicycle adventure. Join cyclists from across the country and around the world for Parks & Trails New York's 21st annual Cycle the Erie Canal bike tour. Enjoy beautiful scenery, fascinating history, and a one-of-a-kind cycling experience on this fully supported eight-day ride across New York between Buffalo and Albany. Along the way, learn about the people, places, and events that shaped the Erie Canal and its vital role in American history. Cycle the Erie Canal attracts riders of all ages and abilities, from beginners and families to experienced cyclists. The Bon Ton Roulet is a seven-day bicycle tour through the beautiful Finger Lakes Region of New York State. Our fully supported tour takes cyclists from wide open farm fields, past stunning overlooks of our lakes, to cavernous water-carved gorges. You’ll also enjoy an area of the country that’s as rich with National Historic Sites as it is award winning wineries. Ride with a great group of bikers who are serious about having fun. Come earn your bragging rights ... we ride 500 challenging miles and usually climb 20,000'- 25,000' in the week and have a great time doing it.. 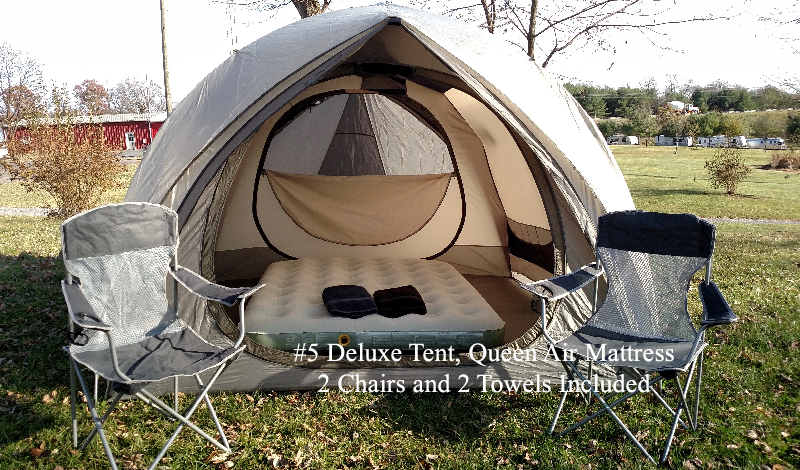 Note: Tent packages include 1 chair for each person, Towels not included in Tent package; see FANY for towel rental. What do you think of when you go for a ride? What do you think of when looking for a tour? We think it’s more than just going from point A to point B. We think it’s about scenic, well-marked routes through quaint New England towns, farms and forests, lakes and rivers. We think it’s also about smelling the flowers, lingering at lunch, eating ice cream, making new friends, taking a plunge into a pond, buying fruit from a farm, watching a sunset, pedaling at your own pace, climbing a mountain if you want, recharging, rekindling and chasing a dream. Welcome To Cycle Massachusetts. The Empire State Ride is a fully supported, seven day adventure across the state of New York with one goal: to win the fight against cancer. This one-of-a-kind ride starts in lower Manhattan, brings riders through some of the most scenic parts of New York State and ends at one of the natural wonders of the world: Niagara Falls. From the big city to the countryside and everything in between, the Empire State Ride is a unique and awe-inspiring experience. You’ll ride an average of 74 miles a day through various terrain and elevation. There’s no doubt that this is a challenging route but you’ll have staff and SAG support the entire way to make sure everyone is safe and happy. We welcome participants of all backgrounds and fitness levels to take the challenge and help us win the fight against cancer! Our services include the 3 camping nights, July 29th, 30th and 31st. Cycle Adirondacks is an award winning, fully supported road cycling tour of New York's 6 million acre Adirondack Park. At its heart, this ride is about communities, people and landscape. We pride ourselves in telling the stories of this special place through community engagement and the power of providing our guests with an instant and lasting sense of place. The result is an event that celebrates Adirondack communities and culture all while featuring unparalleled cycling through some of the world’s most stunning natural landscape. The 2019 tour will feature three overnight host communities with two consecutive nights at each. This innovative and relaxing format allows for more ride options and distances than ever and provides plenty of flexibility and time to explore this incredible place. Oh, and since Cycle Adirondacks weeklong tour is capped at 200 riders, the ride truly is all about our guests and not the other way around. Quite simply, Cycle Adirondacks is the Ultimate Cycling Vacation. Start planning yours today at CycleAdirondacks.com.